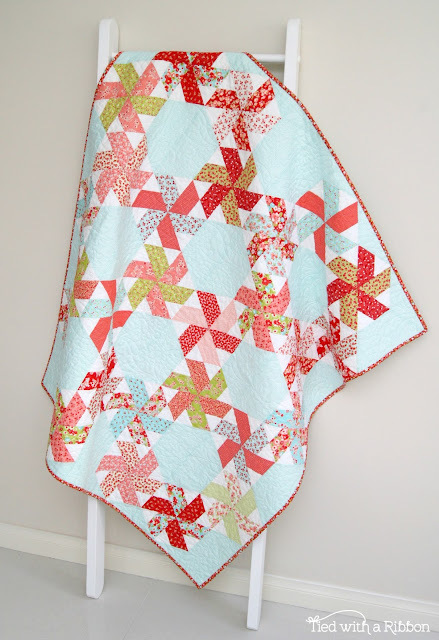 Sharing with you today my Little Ruby Quilt Along Quilt - all finished. 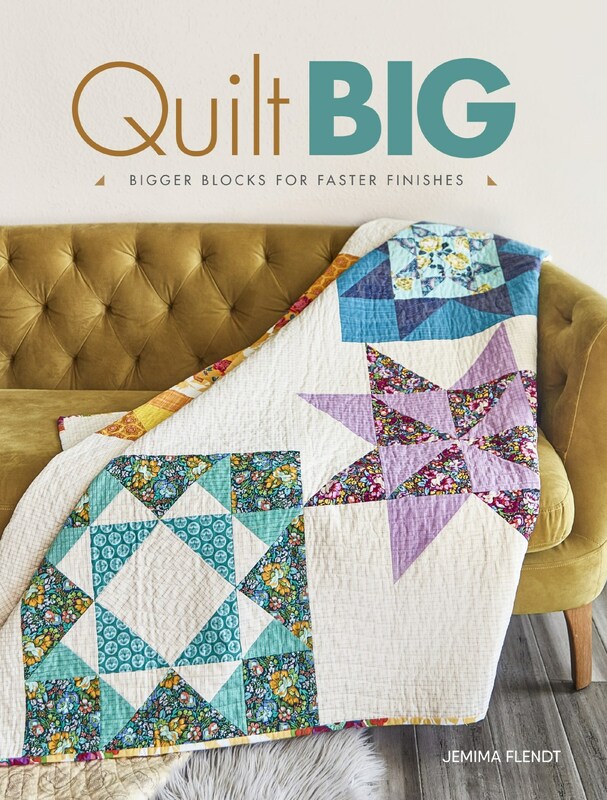 I am so thrilled with how this quilt all came together and this beautiful design by Camille Roskelley for Fat Quarter Shop. 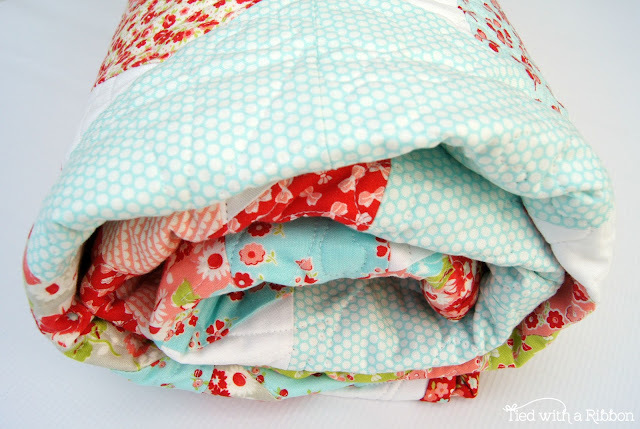 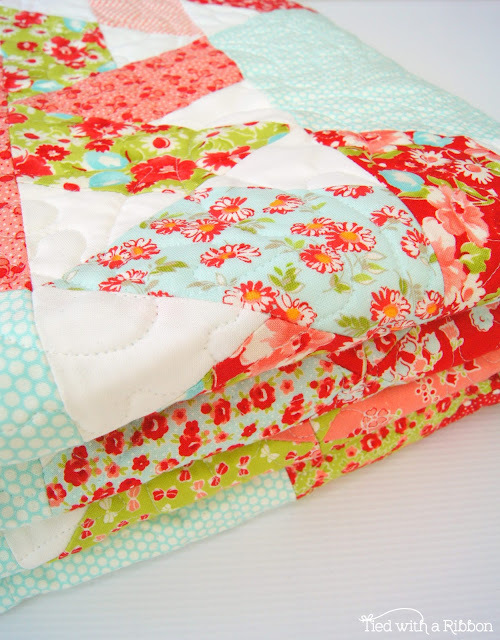 These Little Ruby fabrics are just ever so sweet and my quilt has been made with a special new arrival in mind. 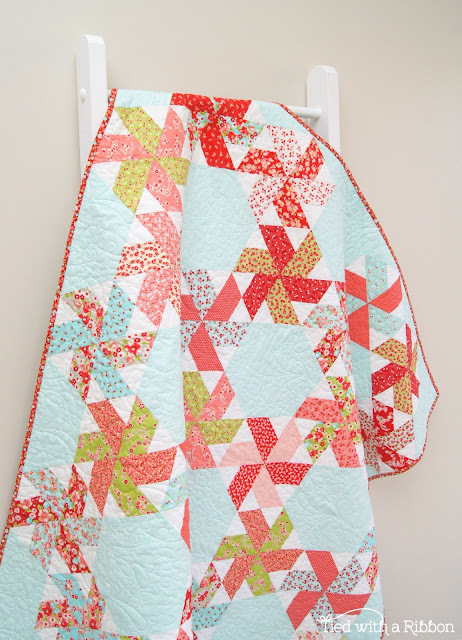 Making the Star Blocks was so easy with the Creative Grid Rulers and came together really quickly. 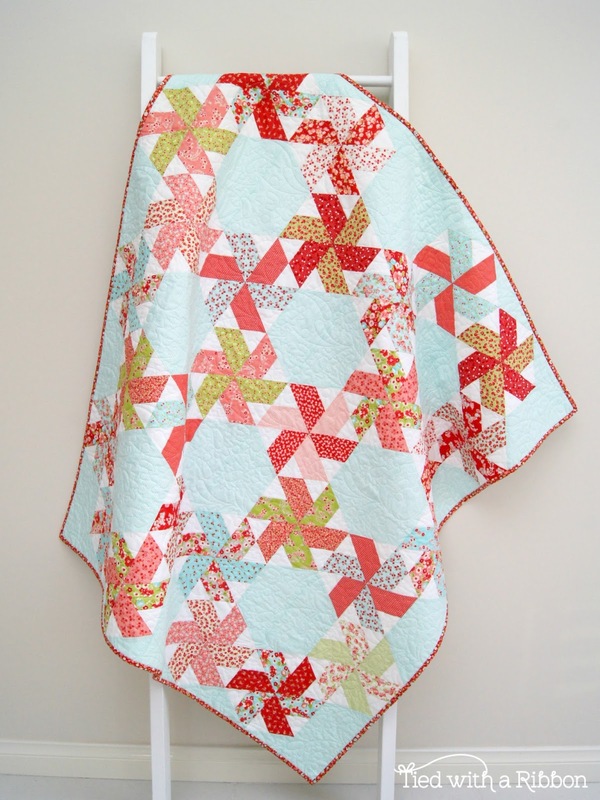 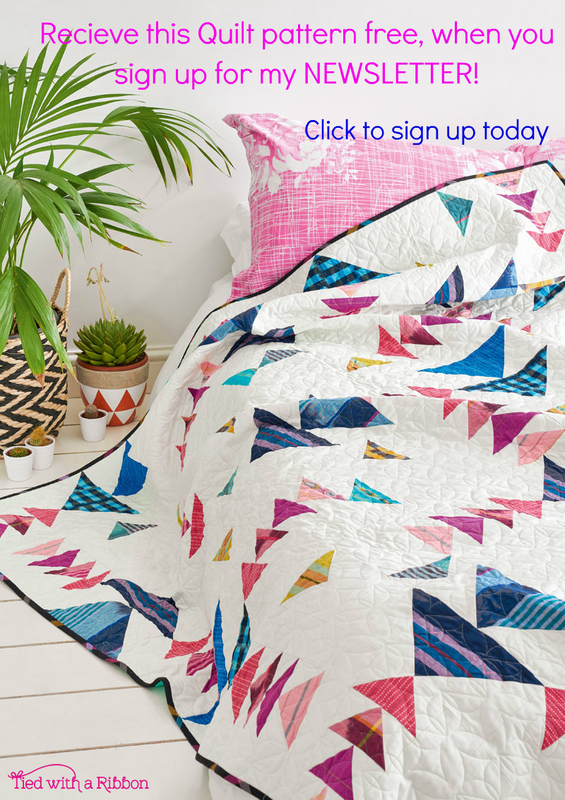 You can find the pattern to make this quilt for yourself here. I sent this quilt to professionally Long Arm Quilted by Carol Brady of The Quilting Cottage. I just love the floral pattern we chose that looks very similar to the flowers in the prints. For my backing for this quilt, I have made it completely reversible by using blocks I had made from my Spell it with Moda Quilt. 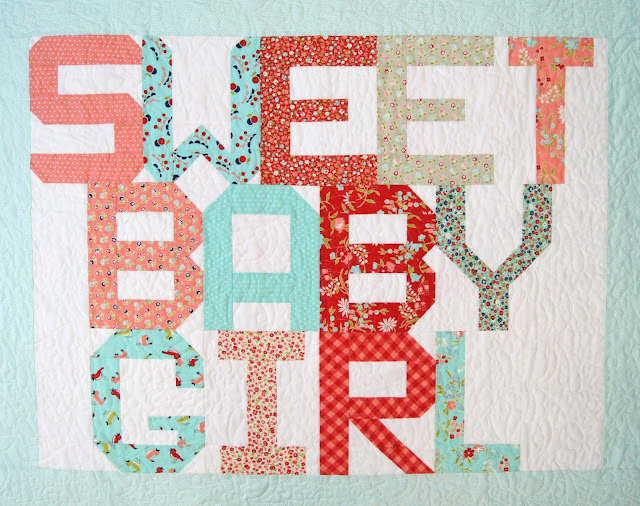 This quilt has gone to a very special new little lady indeed. 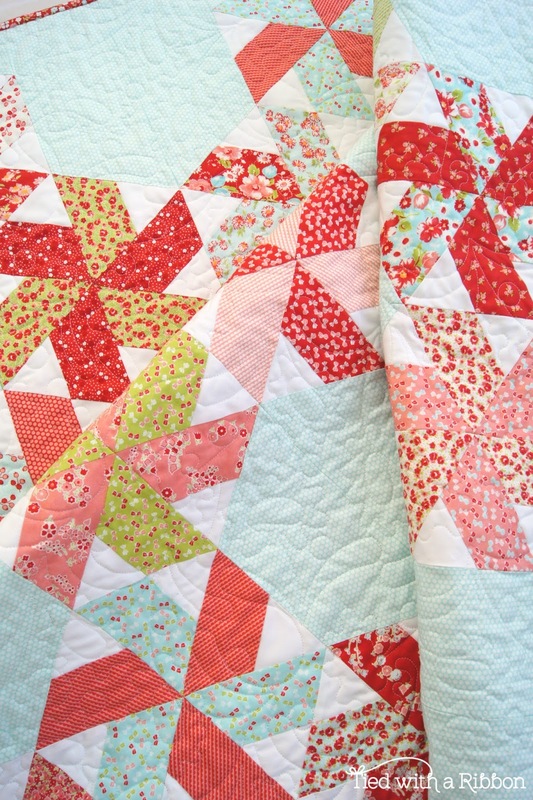 I love my quilts to have owners when I make them - it makes the process so much more rewarding. 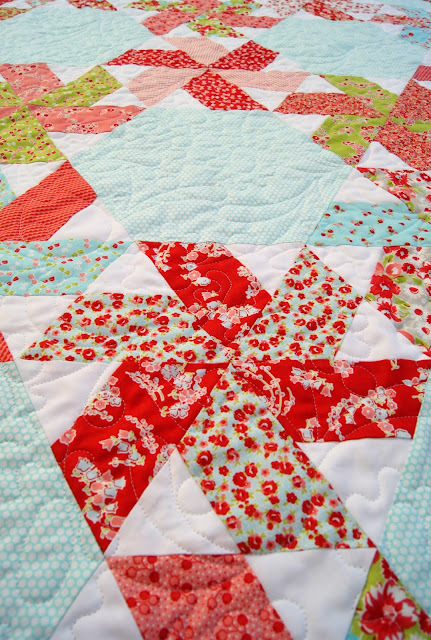 I hope you have enjoyed this Little Ruby Quilt Along - I have just loved making this quilt. 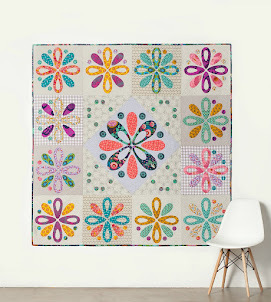 You can check out the hash tag #littlerubyquiltalong for lots of beautiful inspiration from all the other makers who joined in.